Our favourite new EXO Features! EXO Reports can now be rendered directly to XLSX with complete designer control over appearance, display format, column width, column display and ordering in the designer. There is also a runtime interpreter that makes a best guess at how a report could be shown in a regular columnar data export format. Plus: no more nasty Windows security popups! This new button is now prominently displayed and will default to XLSX unless the down-arrow is selected. This release adds the ability to configure an idle timeout for users, by configuring the new idle session timeout in minutes User level profile setting. When set, users will be logged out after a period of inactivity. They have 60 seconds to cancel or they are automatically logged out of EXO (and their license will be freed up). A huge thank you to all of our clients that have chosen to recommend Acclaim to other businesses over the past year. We really appreciate your support and faith in our team. We love and appreciate your referrals, so please keep them coming.  If you know a business that needs professional business systems advice, MYOB EXO or MYOB Advanced implementation, customisation or support, then please let them know about Acclaim or drop us a line. With over 20 years experience supporting accounting and ERP software, and in-depth experience across many different business environments, you can be assured that they will be in good hands. A warm welcome to Lamington Design and Albany Timber who have recently become Acclaim clients. Acclaim has recently welcomed clients for MYOB EXO, MYOB Advanced and EXO Payroll across multiple industries, including Apparel, construction, manufacturing and distribution. Entrusting your MYOB EXO or Advanced implementation to one of the most experienced MYOB Platinum partners is an excellent way to ensure a smooth, structured project management process and minimise risk. Acclaim have our own experienced Consultants, who work closely with our Clients, to ensure your new system is configured correctly from the start. This delivers maximum value to our customers’ businesses for the least amount of cost. We extend a very warm welcome to all our new customers. We look forward to working with you to evolve your business. Start the New Year in ease with the new Logitech K480 Keyboard. A wireless keyboard for your computer, tablet and smart phone! Switch easily between devices and Type in comfort. $90 + GST for a limited time only. After a notebook that is affordable and reliable? The Lenovo V100-15ISK is it! Available in a wide range of configurations and screens. Featuring the Intel Processors, DDR4 memory, the Lenovo V100 is perfect for your day to day business needs. $915 + GST (upgrade options available). Get in Quick! Offer available for a limited time only. E & OE.